G. Knerd » I’m In! 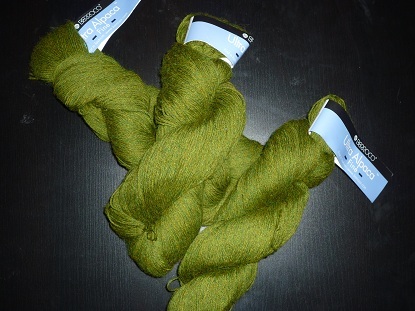 Four years ago, the Yarn Harlot declared the start of the Knitting Olympics – and I didn’t do it. I could use any excuse I want about how I was in college, it was a weird time for me, I didn’t have the yarn for a good project, yadda, yadda, yadda. The real reason I didn’t go for it was…er…well, if we’re going to be quite honest here (and when are we not? ), I was just too lazy to put the effort into picking a pattern, and finding the yarn, and waiting to start until the right time, and so forth. 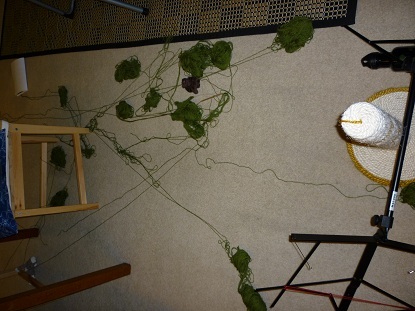 When I have the urge to start a project, very little can get in my way – even the Knitting Olympics. This year, though, I’m in. I’m doing it. 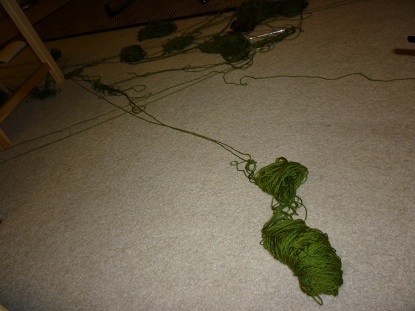 I’m signing up for the Knitting Olympics (in fact, just did, right here). 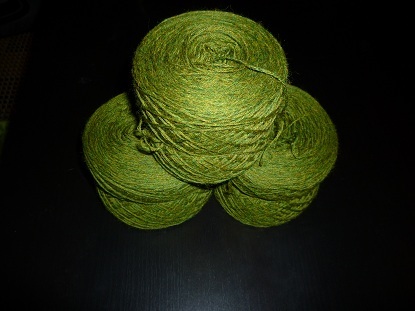 I’ve got the pattern (Anjou from French Girl Knits), the yarn (Berroco Ultra Alpaca Fine in the 1275 colorway), and the needles. 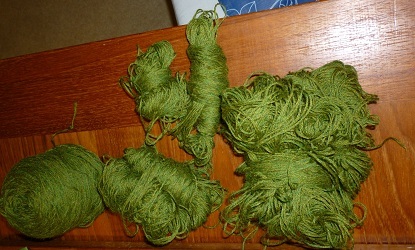 The yarn is wound up. I’ve swatched (although I’m living dangerously, because I’ve decided to skip blocking the swatch and fudge the numbers a bit between my inability to get gauge and the lack of a size that really fits me well). I’m ready to go. Or, I was ready. Then Monkey Kitty got involved. Because tomorrow, I get to cast on and go to town. This will be interesting – the pattern doesn’t look too challenging technically, but it does have lace which has to be blocked (actually, the whole thing needs to be blocked), and I’ll need to plan accordingly for that one. Also, there’s miles of stockinette down the body – that’s the endurance section. 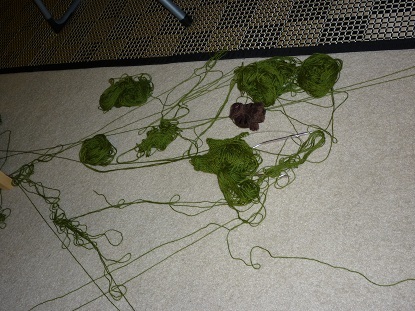 And then there’s the seaming, which based on the description seems fiddly at best. Really, I can’t wait. Except I have to.